You’ll receive your newsletter confirmation email shortly. Check your email from Dilip Shaw or email dilip @ theoptioncourse.com (exclude spaces). 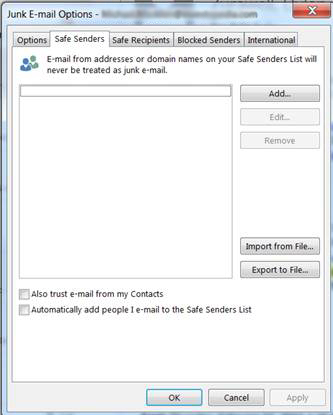 Check ALL your folders including Promotion in Gmail, Junk and SPAM folders in others. Read them everyday. Please note that in the free course of 5 days, you may get a DISCOUNT on my courses. So do read the five days course. If you have a GMAIL Account please check your “Promotions” tab. If the Welcome email is there simply drag the email to your “Primary” tab. In future also keep checking your “Promotions” tab as it may still arrive in “Promotions” tab even after you drag it in the “Primary” tab. Please See: Be sure to add “dilip@theoptioncourse.com” as a safe sender in your email client so that you receive the latest expert analysis, market insights and news. The easiest way to do this is to add dilip@theoptioncourse.com as a contact. If you see that any of my email (including the confirmation email) is in your “Promotions” tab, simply drag the email to your “Primary” tab. If my email is in your Inbox then fine. Just add the email dilip@theoptioncourse.com with the name Dilip Shaw in your contact list. If in SPAM just open and click on “NOT SPAM” and add the email dilip@theoptioncourse.com with the name Dilip Shaw in your contact list. Touch the sender name on one of our messages. Touch the picture on the sender of one of our messages. Your FREE Gift of “5 Day FREE Educational Course to Know Best Way To Trade Options” will start tomorrow 8 am sharp. You will get 5 emails from tomorrow morning for the next 5 days. I offer a course on Conservative Option Trading Strategies. Who Can Do This Online Course? If you trade Options and Futures you can do this course from your home. Just the knowledge of what is Call and What is Put required. No Technical Analysis (TA) knowledge is required and no software or any other complex things required. Not much monitoring required so no need to leave your job or keep watching Nifty. My Best Wishes For Your Options and Futures Educational Journey. Remember it is only education and knowledge that makes money, all speculative traders lose money. If you are a speculative trader I request you to please read all my newsletters. It will help you a lot.